Hanukkah is the Jewish festival of rededication. It is celebrated over the course of eight days, beginning on the 25th day of the Jewish month Kislev. The Jewish calendar is a lunar calendar and has 12 to 13 months; Kislev is the ninth month in the Jewish year. Marked by the kindling of one candle each night, the holiday is also commonly known as the festival of lights. According to Stanford Professor of Religious Studies Charlotte Fonrobert, the historical story of Hanukkah dates back to when Israel was a part of the Greek Empire, which wanted to impose its Hellenistic culture on the Jews. By the second century B.C.E., the Greek king Antiochus IV began to severely oppress Jews with hopes of successfully uniting the empire under Greek laws and customs by prohibiting Jewish practice. In an attempt to convert the Temple of Jerusalem into a place for Greek worship, it was religiously defiled and a statue of the Greek god Zeus was set up. Formed in opposition, a small group of Jews led by the Maccabee family stunningly defeated the powerful Greek army and reinstated the Holy Temple in Jerusalem, cleansing and rededicating the Temple. When the Jews wanted to light the Temple’s lamp, which was supposed to be lit every night, they only found enough oil for one day. 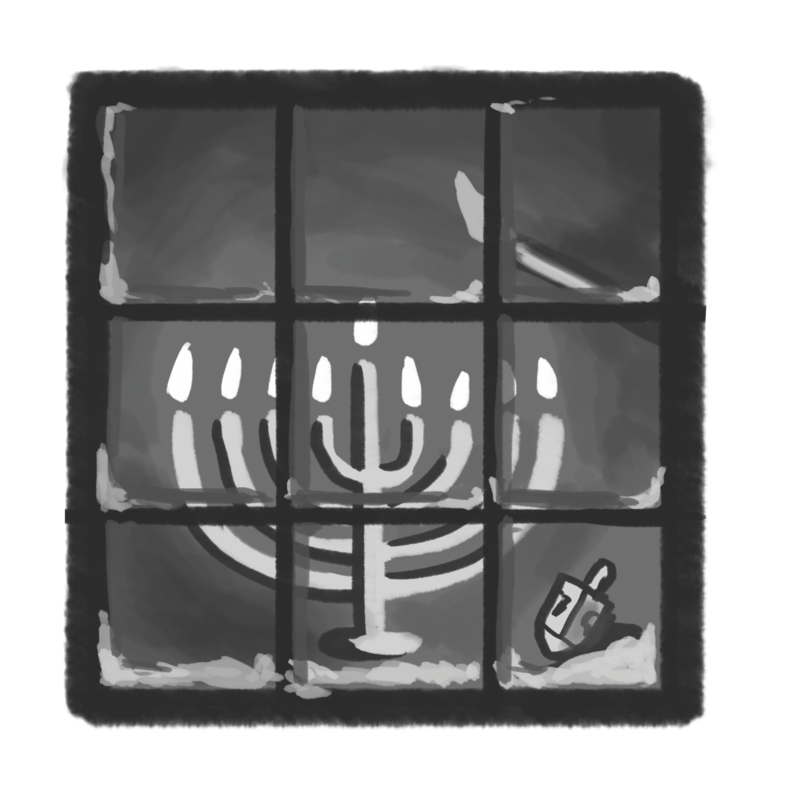 However, the lamp miraculously burned for eight days until new oil was found; Hanukkah was established, a holiday commemorating the miracle of the oil. Traditional food for Hanukkah is typically fried or contains lots of oil, such as latkes and jelly donuts, to recognize the oil’s value. Other traditions include lighting one candle on the Hanukkiah each night as a symbol of the eight nights the Temple’s lamp burned and playing the popular dreidel game. Beginning Dec. 6 of this year, Hanukkiahs will be lit all over the world, commemorating the miracle of the oil.